Samira Salih al-Nuaimi was seized from her home on Sept. 17 after allegedly posting messages on Facebook. 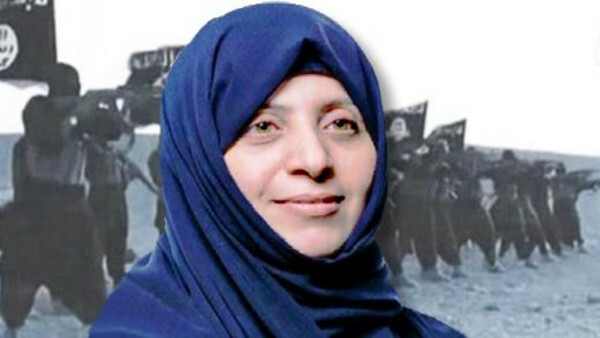 Samira Salih al-Nuaimi was seized from her home on Sept. 17 after allegedly posting messages on Facebook that were critical of the militants’ destruction of religious sites in Mosul. “By torturing and executing a female human rights’ lawyer and activist, defending in particular the civil and human rights of her fellow citizens in Mosul, ISIL continues to attest to its infamous nature, combining hatred, nihilism and savagery, as well as its total disregard of human decency,” Nickolay Mladenov, the U.N. envoy to Iraq, said in a statement, referring to the group by an acronym. The militant group captured Iraq’s second largest city Mosul during its rapid advance across the country’s north and west in June, as Iraqi security forces melted away. The extremists now rule a vast, self-declared caliphate straddling the Syria-Iraq border in which they have imposed a harsh version of Islamic law and beheaded and massacred their opponents. The ISIS extremists’ blitz eventually prompted the United State to launch airstrikes last month, to aid Kurdish forces and protect religious minorities in Iraq. In other developments Thursday, German Defense Minister Ursula von der Leyen visited northern Iraq for talks with Kurdish leaders about the fight against ISIS extremists and Berlin’s efforts to help with arms deliveries.